Now that Christmas has passed, people turn their attentions to the New Year and resolutions. Amongst the most popular resolutions are to improve fitness or join a gym. However, around 75% of people who make joining the gym a New Year’s resolution give up within the first month. Is there another way? Well, our 60 Day Challenge will give you two months of support 24/7. Plus it will give you the chance to learn about nutrition, training and correct movement patterns. The New Year 60 Day Challenge runs from the 6th January to 3rd March 2019. It is incredibly popular and spaces go fast. 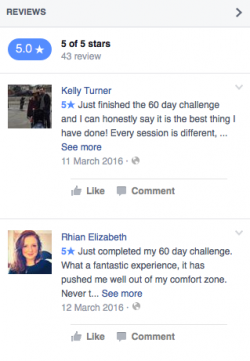 Whenever we run the 60 Day Challenge we always seee fantastic results. If you stick to the programme it works!!! It really is that simple! This is not crash dieting, we don’t count points, there are no gimmicks, shakes or magic potions!! 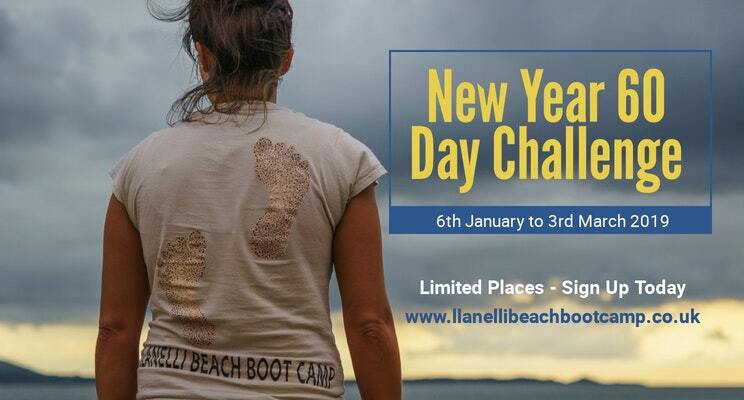 Make it your New Year Resolution to join the Llanelli Beach Bootcamp 60 Day Challenge. Places are limited so make sure you’re signed up. Contact us below or via Facebook to find out more. If you’d like to know more Llanelli Beach Bootcamp or any of other activities then please get in touch.